Farewell, Xbox 360. Microsoft has announced that they are ceasing production of the console for good, effectively sounding the death knell for one of the most popular consoles of all time. In its 10 (and a half) years of existence, the Xbox 360 changed the world. Here are 10 things we’ll remember it for. Remember the days before achievements? When you didn’t have to spend hours on end trying to complete some ridiculously specific task to earn 5 gamerpoints, which aren’t actually worth anything apart from ramping up your Gamerscore (also not worth anything)? You can thank the 360 for that. It was the first console to introduce achievements across all games, leading thousands of gamers to spend a lot more time than they should trying to collect every little trinket they could for those sweet, sweet gamerpoints. Marcus Fenix and his ultra-gruff band of brothers made their debut on the 360, introducing us all to a world of chainsawing-aliens-in-half fun. Gears’ cover-based shooting was copied by countless games over subsequent years, although none of them ever quite managed to capture the magic of the series. Although the story was compelling enough, it was multiplayer that really sealed Gears status as a stone cold classic. Back in 2006, most people were expecting the big console war to be between Xbox and PlayStation. No-one anticipated the success of the Nintendo Wii, which ended up outselling the 360 and PS3 thanks to its novelty motion controls and family-friendly games. Keen to get a slice of that delicious motion control pie, Microsoft unveiled the Kinect in 2009. The Kinect took the concept of the Wii a step further, doing away with controls entirely thanks to a motion-tracking camera. The Kinect was a huge success; it sold well over 25 million units worldwide, and the 8 million units it sold in its first 60 days of sale made it the fastest-selling consumer electronics device ever. Well, we couldn’t leave it out, could we? Before the Xbox 360, a red ring of death was associated with especially spicy food. Then one of the most infamous errors of all time reared its alarming head. The red lights of doom signalled a General Hardware Failure, which is a techy way of saying your console is done for. The problem was so prevalent that Microsoft paid to collect, repair and send back consoles to those affected, a move that cost the company around $1.15 billion. Microsoft never officially revealed the reasons behind the Red Ring of Death but the problem abated around 2009. Before the 360, most consoles focused purely on gaming. The PS2 had a DVD player, but that was about as close to ‘multimedia’ as a console got. The 360 changed that by introducing apps for Netflix, 4OD, iPlayer, Sky and much more, setting new expectations for what a console should be. 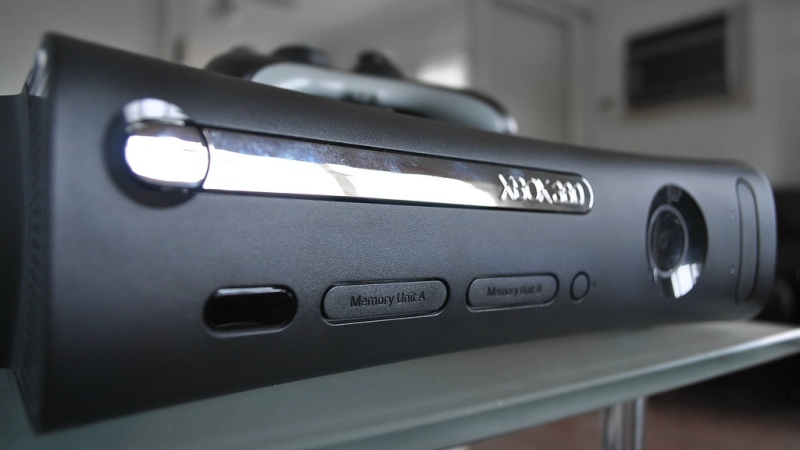 Although Microsoft flirted with it on the original Xbox, XBLA didn’t come into its own until the 360, where it was integrated into the main dashboard. Arcade gave us all the chance to play games we might not have heard of, some of which were among the best games released on the system, like LIMBO, Castle Crashers and Trials HD. If you ever fancied something a little different, XBLA had you covered. The first console to come bundled with a headset, which was used to transmit unrepeatable abuse from American teenagers directly into your skull. It wasn’t all one way though: you could sling rude words back using the handy little microphone, which made you look a bit like a nerdier version of Britney Spears. Oh, and it was good for talking to your mates while playing games too. Let’s not forget that. The best zombie game ever until Left 4 Dead came along. Nothing beats strapping two chainsaws to a pole and going wild in a crowd of braineaters. Nothing. Alright, so they were a fairly shameless copy of Wii’s Miis. But, if you’re anything like me, you’ll have spent hours trying to build a mini you, only to give up and create some 70s throwback in a shocking baby blue suit. Let’s not get started on paying actual, real world money for fake clothes for your virtual avatar. That was some rabbit hole to fall down. Avatars weren’t just for show though, with a lot of indie games on the Xbox Live Arcade using your creation as a character a la Wii Sports and countless other Wii games. Which is the best Halo? It’s a question that will spark debates until aliens invade Earth, but most people can at least agree that Halo 3 is up there. Refining the formula set by Halo: Combat Evolved, Halo 3 was bigger and better than its predecessors – and much prettier too, thanks to 360’s enhanced capabilities. The real highlight, as with most first person shooters, was multiplayer. Halo 3 took everything we loved about Halo 2 and made it better, from vehicular combat to more weapons to play with. Share your memories of the Xbox 360 with us in the comments! Although Microsoft has stopped producing 360 consoles, you can still buy Xbox 360 games on the musicMagpie Store! Click below to check it out. Or, if you’re ready to move on, you can sell Xbox 360 consoles and games with us too. Just click below to get an instant price. ← Competition: Share your rarest gaming gear and win tickets to the UK’s biggest gaming fest, Insomnia!